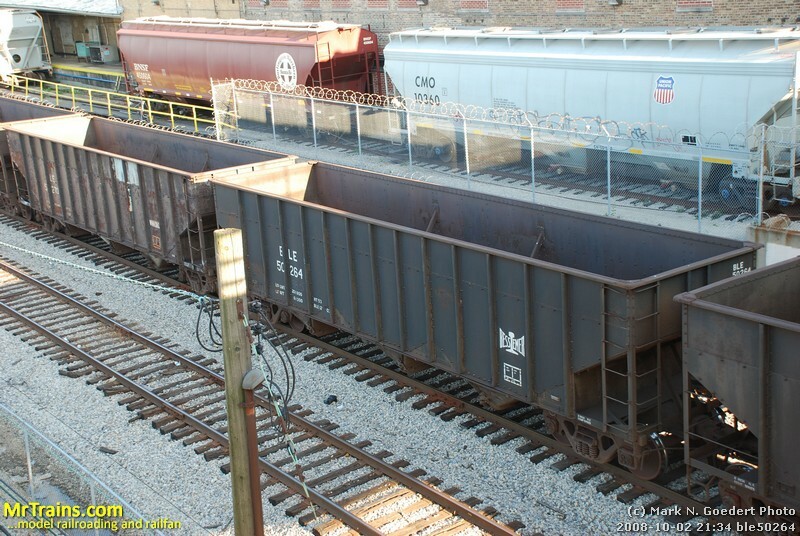 I found a hopper unit train sitting in Oak Park IL facing West on the old B&O heading into Forest Park. 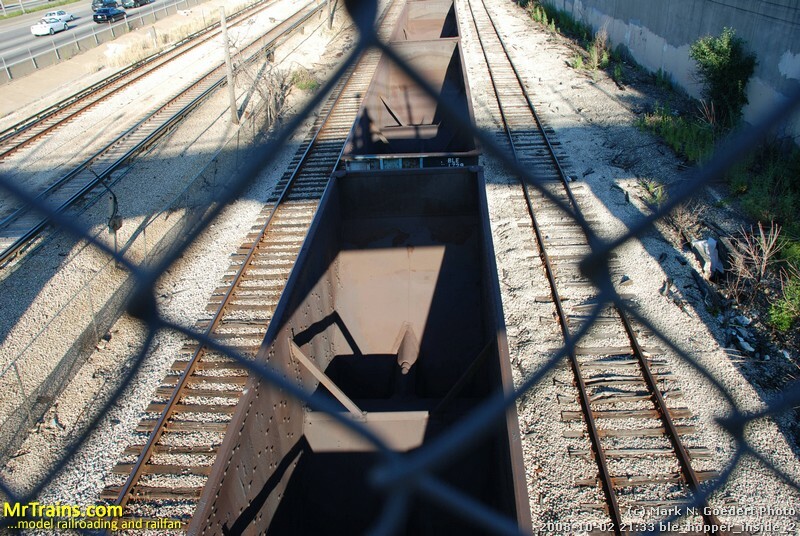 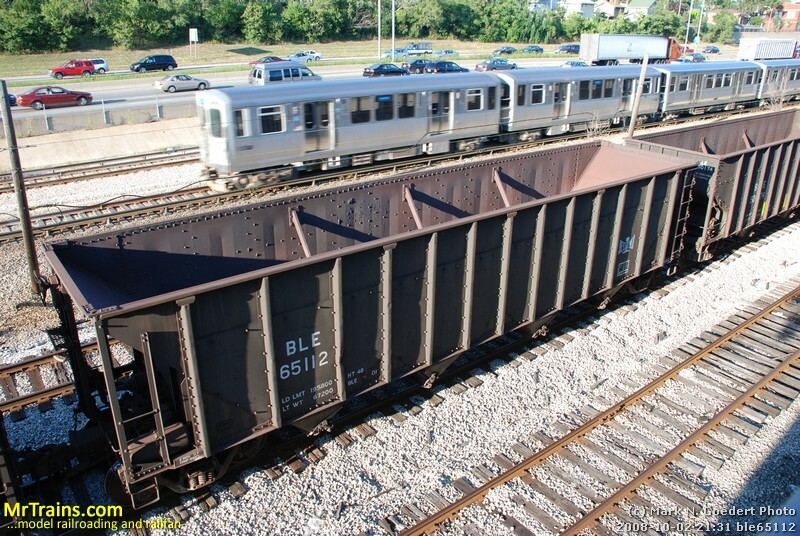 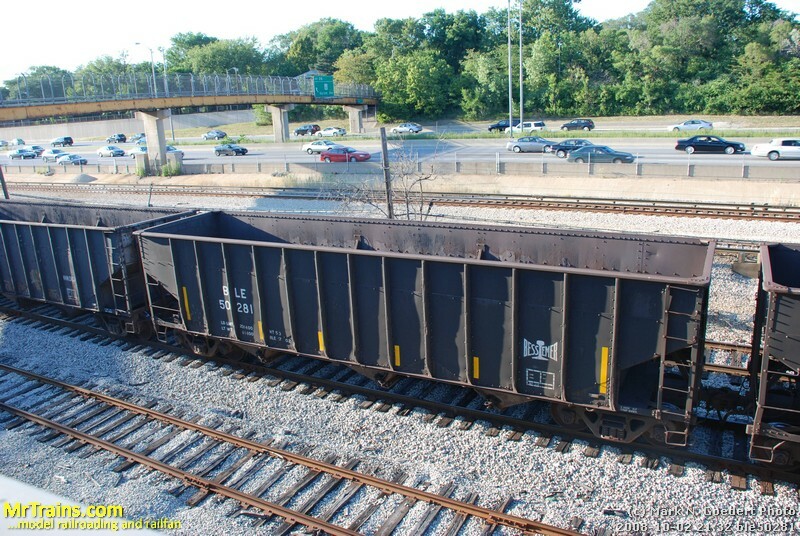 The open hoppers were the older drop bottom hopper cars and had moderate weathering. 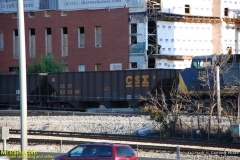 Some of the cars were rebuilt with reinforced sides. 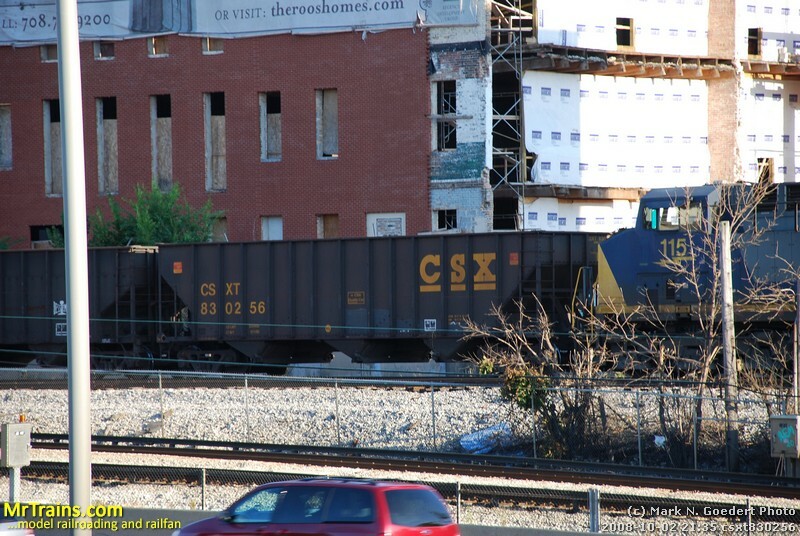 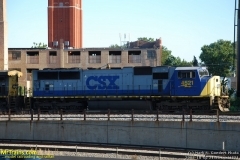 The overall makeup of the train had a mix of BLE and CSX cars with CSXT motive power on the front end. 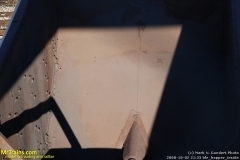 I included photos where I was looking down into the car to note the colors for weathering. Click on the images below for a larger photo. 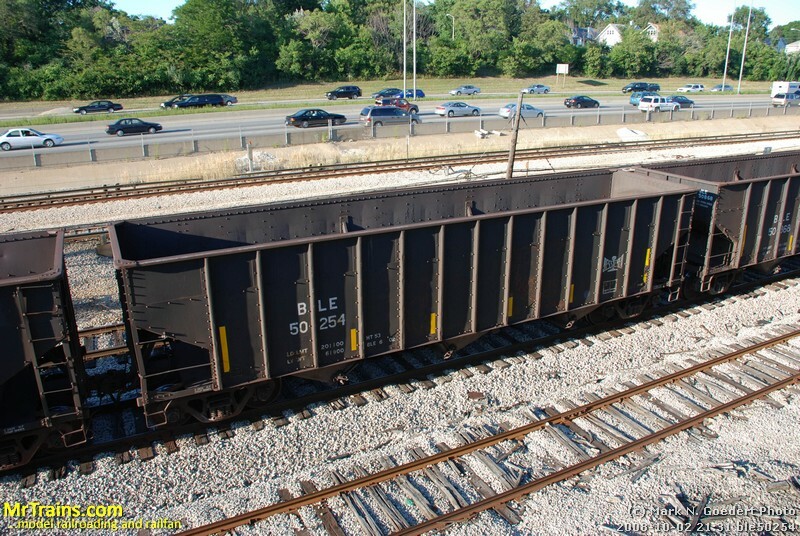 This entry was posted in Freight Cars and tagged details, hopper, prototype, weathering by Mark N. Goedert. Bookmark the permalink.